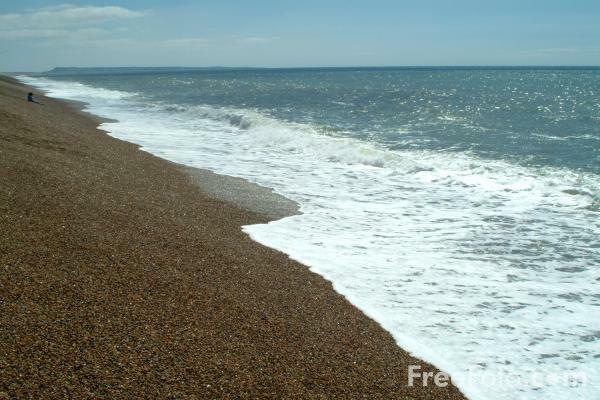 Pictures of Chesil Beach, Dorset. The vast shingle bank stretches roughly 14 miles west from Portland. It is composed of pebbles which vary in size from very small at the northerly end to large stones at the southern end of the beach. The graduation in size is caused by the action of tidal currents and is so perfect that local fishermen can tell exactly where they are if they happen to beach at night or in fog. VIEW: More images from the category Chesil Beach, Dorset, England or around the same time .